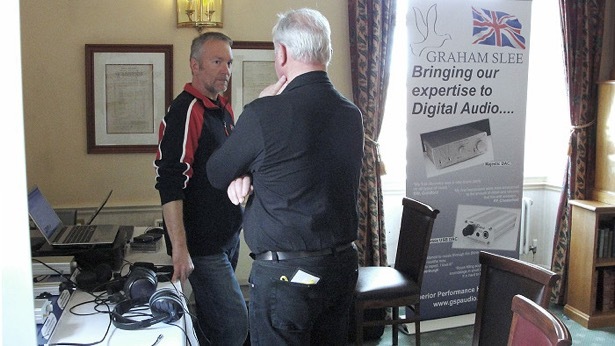 The first 2015 gsp audio Roadshow, at Hellaby Hall on April 19th was another music filled event with visitors keeping myself and fellow gsp director, John, busy talking about our products, music and more. A mix of forum members and others came in and out during the day, most spending quite a long time with us – helped by the unlimited tea and coffee no doubt. 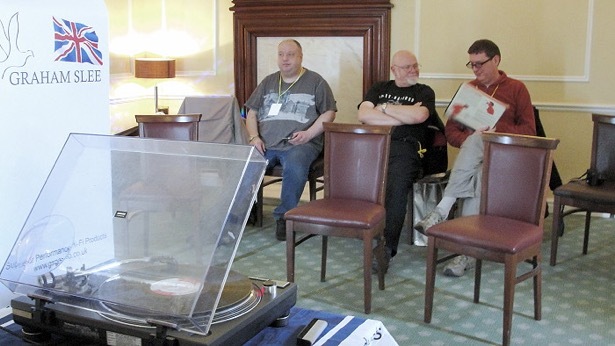 A couple of our forum members assumed DJ roles and kept the vinyl spinning – mainly through our new phono stage prototype, which was very favourably received by visitors. The room acoustics were aided by our banners being placed in the corners, hiding packing boxes, and acting as bass traps. The vinyl setup was via our Proprius mono block amplifiers and either LS35As or Harbeth M20s. The headphone room used digital sources and our Majestic DAC feeding our range of headphone amplifiers. Many thanks to Inspire HiFi for loan of one of their modded Linn LP12 turntables. 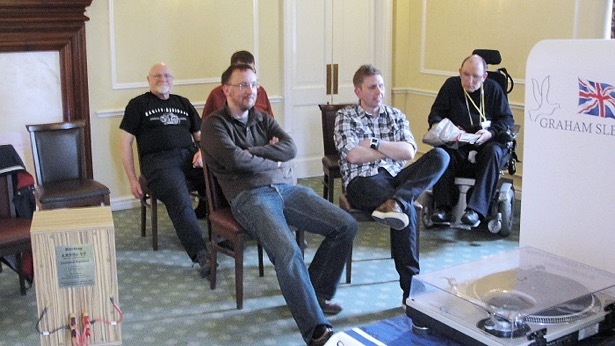 If you didn’t make it to Hellaby Hall and you live in the Midlands and South East/Southern England we have some good news for you: our next 2015 Roadshow is currently being planned just for you. In a nice hotel with bar, bar meals etc. 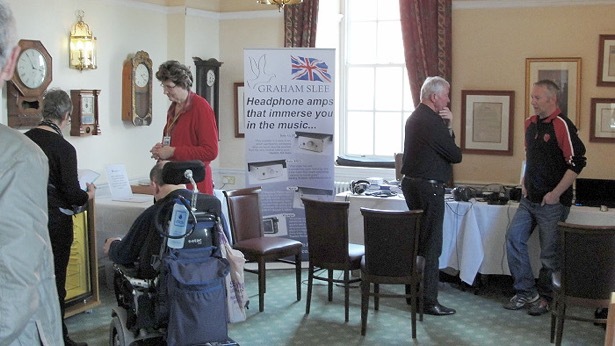 So why don’t you come and enjoy the sound and the music, the company – we’re a friendly bunch, and the venue?